Hey everyone-- here's something else we've been working on. 3A 5V switching supply for the Raspberry Pi that can operate from up to 6S. 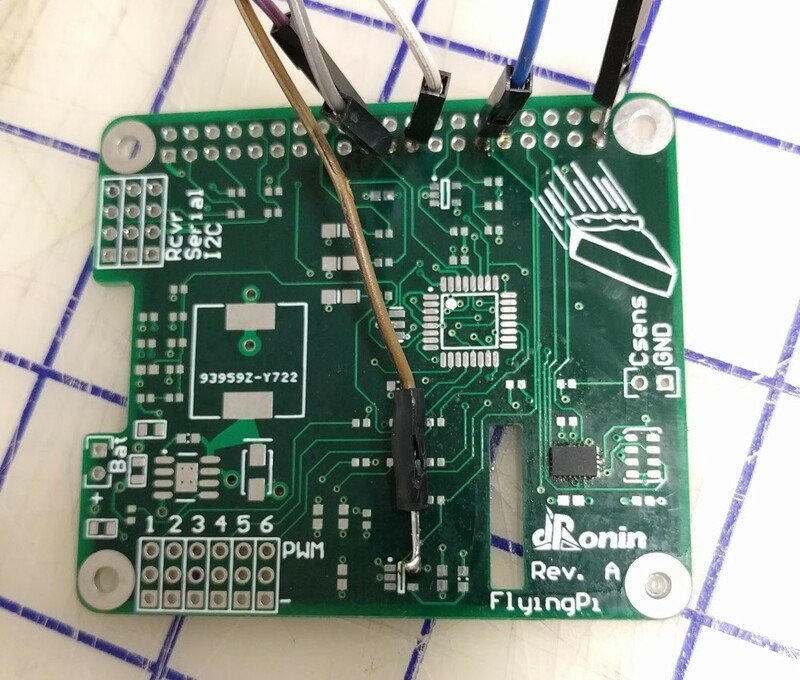 With PREEMPT_RT, realtime scheduler class, and our bundle of the flight controller with ChibiOS-on-posix, it's possible to run the flight controller on one dedicated core of the Pi and leave the other 3 cores for advanced processing. You can remote login to your drone, run computer vision software, etc... We expect this will allow us to greatly push forward what aircraft are capable of by allowing rapid iteration of control code, and also will allow very sophisticated autonomous/robotics usage. That's really awesome! How is the microcontroller connected to the Raspberry Pi? Using SPI? Will be getting all this in git soon. bazyl78 Yah, I agree. Unfortunately, right now the approach we're using for hard realtime is to dedicate a core to the flight task and run the ChibiOS kernel in it. So from a software approach that unfortunately would not work-- we require Pi2 or Pi3. And a lot of the advantage of the Pi goes away if the flight stuff needs to share processing resources with other stuff. I'm hoping in the future there's a Compute Module with multicore (the pi foundation guys have said that will happen this year) or a pi 0 variant with multicore. Looks like a snug fit. Is the set powered through the "Bat" connector? Wouldn't it be possible to also include OSD on the board? It conforms to the Raspberry Pi Hat specification. For the standoff holes to line up, it has to be the full size. Ok, I didn't mean it negative. It is looking good! And ok, would an user be able to connect a MinimOSD, if he would like to do so? That's great! I always wanted to fly with my Pi. yamahabest There's pretty few serial ports available-- best bet for that would be to use a FTDI cable But it's not really meant at all for FPV rigs. xfce The software will require multicore-- as we're dedicating one core to the hard realtime stuff and leaving 3 cores left for Linux, vision, etc. If you wanted to shrink it for a small form factor, IMO the Compute Module would be best to design against. https://www.raspberrypi.org/products/compute-module/ There will be a multicore Pi compute module in the next couple of months. The question just becomes what ports to break out from the Pi-- USB for sure.. probably the camera port. cctsao1008 The design files are public.. not sure if we'll have a batch of them made yet. It is still being developed, so it is not possible to buy one at this stage yet. 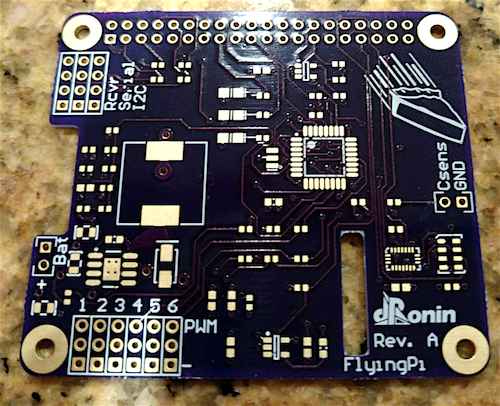 @mlyle this is very cool - I'm thinking about ordering some PCBs. Have there been any updates/errata since the revA files you posted? Is the RPi code on git somewhere? 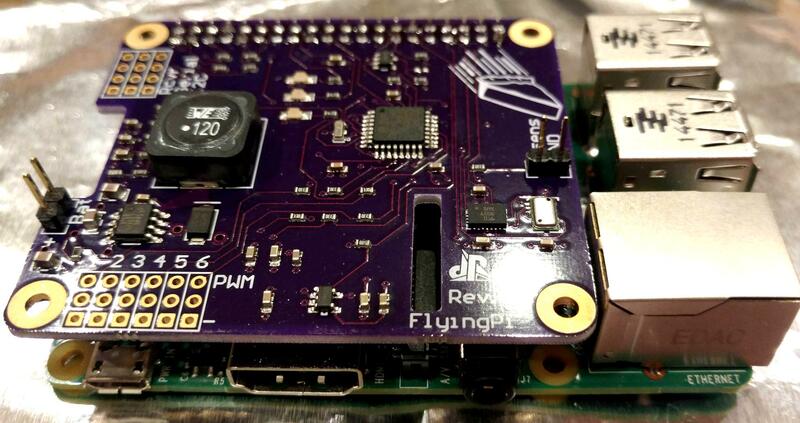 We've been bringing in PRs to support running the "simulation" environment hard realtime, with real sensors, to support the "flyingpIO" microcontroller on the hat--- # # # # # # # and now # is pending. 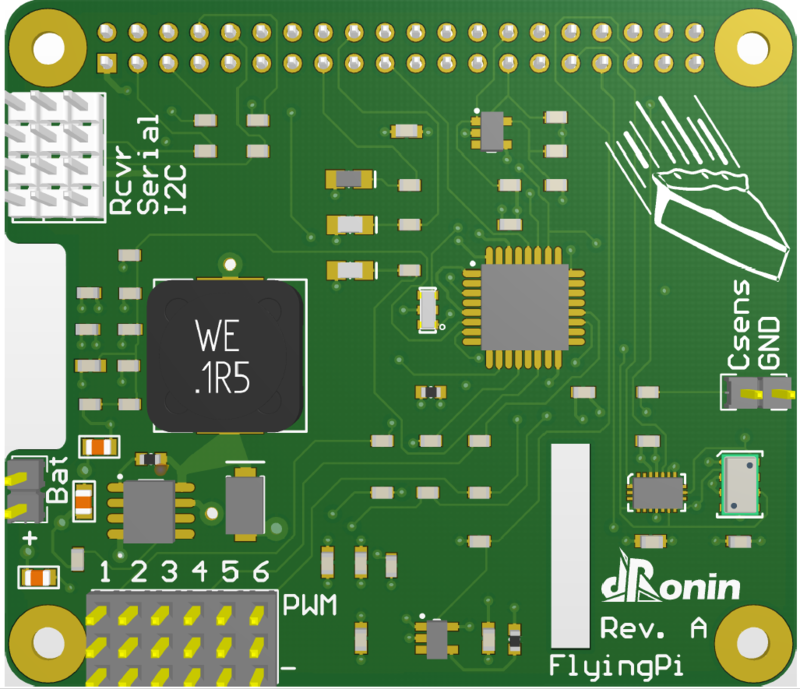 So the code for both the Pi and the subsidiary microcontroller are in the main dRonin development repository. I'd say-- if you're comfortable assembling a board that has a fine pitch part like the BMX055--- go for it! I'm probably about 5 days from a test flight, so within the 3 weeks+ you're likely to take to get boards/parts in we'll have made a lot of progress on documentation and remaining functionality (main thing is no magnetometer software support yet). Please note this will only work for now on top of the RPi2 or RPi3 because the current software environment needs multicore. Got my PCBs, and after a number of tries the BMX is down and talking on SPI! Now to populate the rest and see if I can get the software running... @mlyle is there any documentation on the setup yet? If not I will take notes on my experience and hopefully be able to make a guide.